Happy New Year from ProQuip industrial tank agitators! We hope you had a safe and happy holiday season as well as a successful 2016. We are starting out the New Year with a four part blog series on Computational Fluid Dynamics (CFD). The first part of this series follows. Computational Fluid Dynamics is the use of applied mathematics, physics and computational software to solve and analyze problems that involve fluid flows. 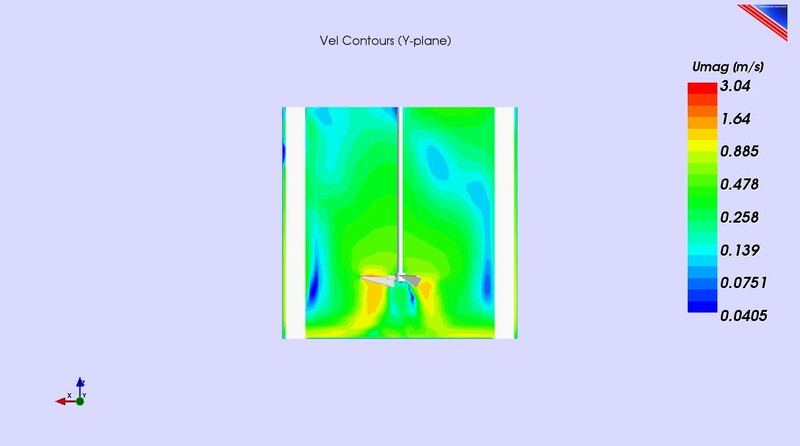 CFD technology has been around since the early 20th century, and many people are familiar with it as a tool for analyzing air flow around cars and aircraft. 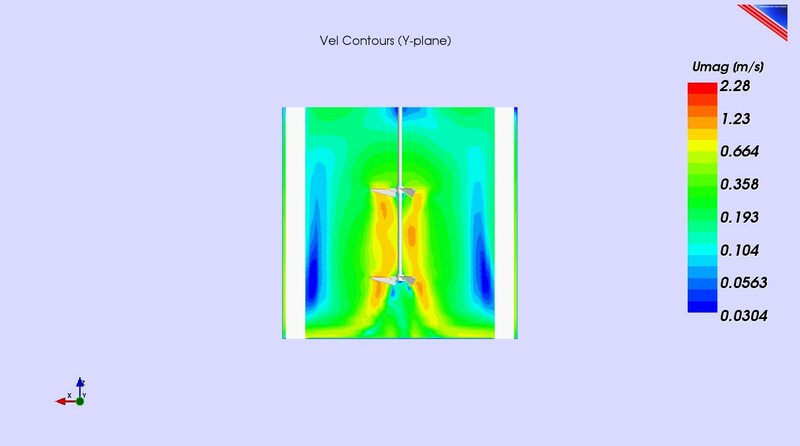 In the last few decade’s Computational Fluid Dynamics has become a very powerful and versatile tool for design and analysis of multiphase flow processes and equipment that are of considerable interest to the chemical and process industry. CFD technology provides an opportunity to get in-depth understanding of how vessel hardware and operating conditions impact the underlying flow physics inside the mixing system. This helps identify potential flow and mixing issues in the design stage of the mixing system and tank agitator, as well avoid time-consuming trial-and-error physical testing. How Does ProQuip Use Computational Fluid Dynamics? ProQuip uses state-of-the-art Computational Fluid Dynamics technology in combination with lab experiments and field tests to design, scale-up, optimize or upgrade tank agitators and mixing systems. ProQuip engineers can use the CFD technology to get a detailed understanding of velocity distribution, flow pattern, dead zones (low velocity areas; See Figures 1 and 2), and low and high shear zones in various mixing system configurations. Multiple system configurations and tank agitator designs can be tested to optimize performance. CFD technology also helps ProQuip optimize impeller blade design to balance power requirements and pumping capacity. Figure 1. Example of a computational fluid dynamics velocity contour plot for a ProQuip HiFlow™ agitator impeller in a baffled tank, water-like conditions. Figure 2. Example of a computational fluid dynamics velocity contour plot for two ProQuip HiFlow™ agitator impellers in a baffled tank, water-like conditions. This was a brief introduction to computational fluid dynamics. The second part of our blog series on CFD takes a deeper look at the fundamental principles of computational fluid dynamics and how they apply to tank agitator design. If you need immediate help with your tank agitator design, email applications@proquipinc.com or call us at 330-468-1850. Should You Use Impeller Pumping Rate to Compare Industrial Mixers?